Says Andreas Simonsen about his passion for speed. The Swede’s blood seems to run a little faster through his veins. Just like his father’s and grandfather’s before. Even if they do not sit in a cockpit anymore the former racers are still fascinated. Father Christer and Grandfather Kurt accompany the up-and-coming speed junky to every event and experience the emotions first hand. Kurt Simonsen laid the foundation for the family’s motorsports tradition back in the Sixties. He competed in rallies and won the 1976 World Championship title in a Porsche 911 Carrera RSR. Father Christer Simonsen competed on many circuits worldwide and came in third in the 1987 European Championship Group A.
Andreas was nine years old when he got his first taste of motorsports. Like many successful racers he started with karting. He stayed with this sport until the age of fifteen. Then he competed in the Swedish Volvo S 40 Challenge, winning the fifth place in the championship. His talent attracted a great deal of attention in the bigger Volvo S 60 Challenge. He won the coveted championship title of the series in his debut season and became the series’ youngest Swedish champion of all times. In 2007 the then 17-year old began to compete in the German racing series. He raced in the VW Polo Cup for two years and did not go unnoticed. In the first season Andreas Simonsen won the fourth place and in the second year he won the third place. In the same year the Swede took part in a STCC race and the victory marked an additional highlight of his career. One race in the VW Polo was especially defining for the young pilot. Starting in 2009 he competed in the Seat Leon Supercopa for two years. And in 2009 the Swede competed in the STCC again. He took part in four races in an Audi A4. He won two first places, one second and one third place. Having been in 7th place at the end of the year in his first Seat season, Andreas made a major leap forward in 2010 winning the Championship title after the last race and taking the trophy home. With only 21 years the Swedish pilot competes against well-known motorsports people like Heinz Harald Frentzen (former Formula 1 pilot), Peter Kox (successful GT pilot), the Stuck family and Christopher Haase (ADAC GT Masters Champion, GT3 European Champion) in the 2011 season of the up-and-coming German GT racing series ADAC GT Masters. The regulations including a mandatory partner and a driver change during the one hour long race are new to him. 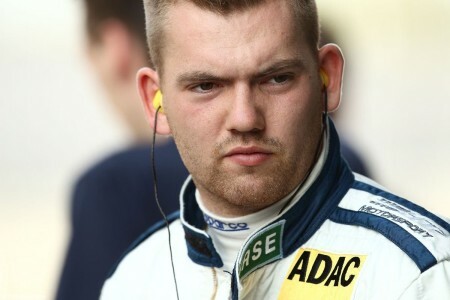 Andreas Simonsen shares the Phoenix Racing Audi R8 LMS with 23-yeal old Christopher Haase. What does motorsports mean to you? Do you have other hobbies as well? Do you have an idol in motorsports? Are there other goals in motorsports for you? What is so fascinating about this track? What victory meant the most to you? What happens in your head before a race? What car do you drive privately? What does your girlfriend think about your thrill for speed?